A day after lawyers protested following the Bar Council of India’s (BCI) call against Law Commission recommendations for drastic changes in the Advocates Act to penalise lawyers who go on strike, BCI chairman Manan Kumar Mishra has now taken on Supreme Court Bar Association (SCBA) executive committee members for slamming the statutory body. Mishra said if the SCBA claimed to lead the fight for lawyers’ cause in the country, they should first abstain from work at least one day. “They (SCBA) say since they practice in the SC, they are apex association of lawyers. It's good. But lawyers of the country would expect something positive from the leaders. At least executive members of the SCBA should first give a call for abstinence from court works for one day. They should actively come to the rescue of advocates,” Mishra said on his Facebook page. Citing a slew of problems faced by the lawyers in SC, he said more than 95 per cent of members have no chamber or sitting place and young common lawyers face a lot of problems as their cases are dismissed recklessly. “They (lawyers) don't get proper opportunity of hearing. Their survival is difficult. Nepotism, the unholy nexus, monopoly in appointments of judges and problem of uncle judges are cancerous problems for lawyers practicing in SC. “In my opinion, the eradication of these problems is the foremost duty of the SCBA. Unfortunately, though I have been a member of the SCBA for about the past two decades, I have never found the SCBA giving a call for the cause of lawyers. How has the Law Commission treated the SCBA on a different footing and given it a special status? Therefore, one thing appears to be genuine…,” Mishra said, accusing SCBA executive members of “dividing lawyers and weakening their unity”. He said the BCI was also going to propose some effective measures of welfare for lawyers and their families. Schemes for pensions, insurance, mediclaim and stipend have to be made available by the government. 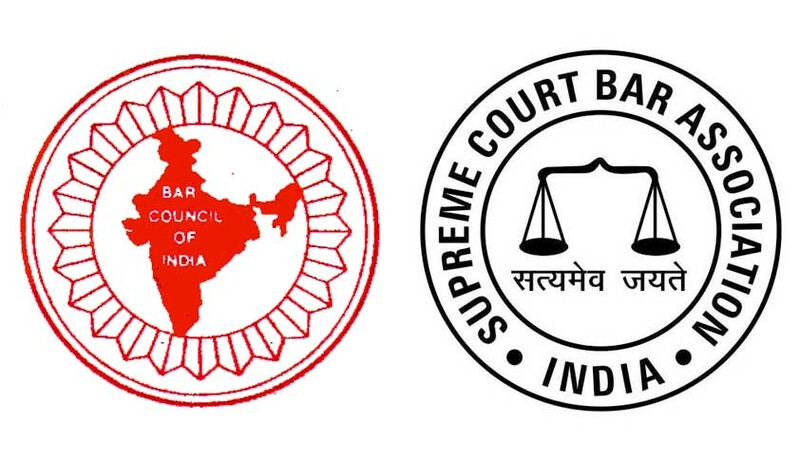 On March 30, the SCBA had slammed the BCI for sending its suggestions without consulting the Bar and later taking a U-turn to protest against the commission. The SCBA also criticised the commission and agreed to show solidarity with the protesting lawyers. It called upon all SC lawyers to wear a white band on their arm. “Even more disappointing is the fact that the BCI has now taken a complete U-turn after making very pernicious recommendations to the Law Commission of India earlier, and has decided to oppose now by way of calling for a strike the very same recommendations that it made. This has further eroded the credibility of the BCI,” the SCBA resolution said. Recently, the Law Commission submitted its 266th report titled The Advocates Act, 1961 (Regulation of Legal Profession), which emphasised the need to review regulatory mechanism and regulatory bodies etc., and recommended comprehensive amendments in the Advocates Act. The Commission also submitted a draft of the Advocate (Amendment) Bill, 2017.